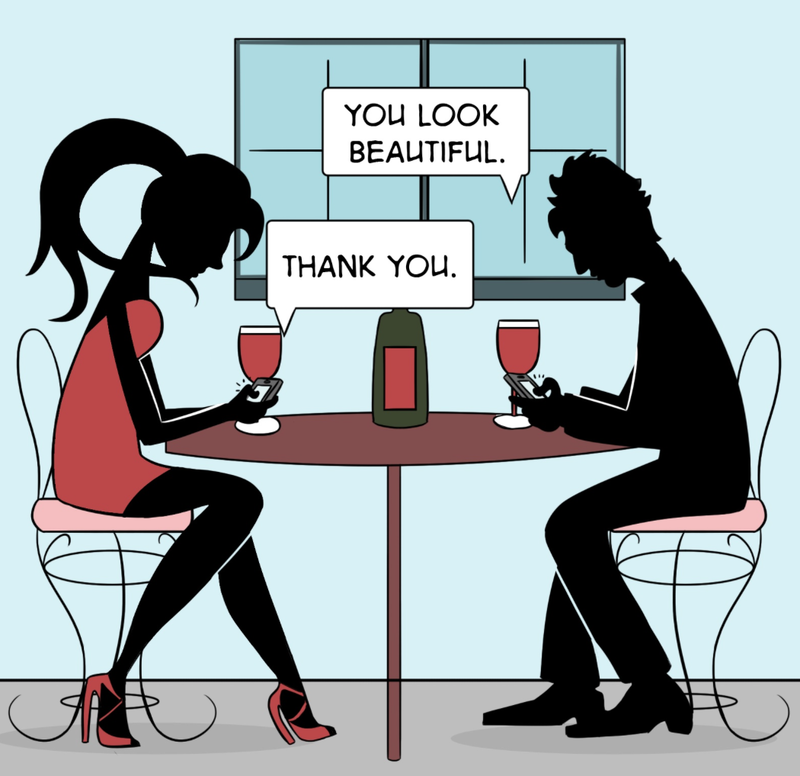 | Has Texting Ruined Relationships? 20 Sep Has Texting Ruined Relationships? I’ve never dated in a textless world. I may always be curious as to how those good ol’ times were. Waiting by the phone for a phone call?! How sweet that must have been. Not having to interpret the tone and subtext of a text? Even sweeter! Fortunately, the guys I’ve been into the past couple of years have been pretty great picking up the phone or hitting the FaceTime button and actually verbally communicating. I pick good ones…as most of you know. However, I have a lot of friends that only text their BAE when they’re apart. They can go long spans of time without hearing each other’s voices. Some studies suggest that a whooping 93 percent of communication is nonverbal. According to the Mehrabian theory, the actual words used in a message make up only 7 percent how to it is conveyed to the receiver. The rest of how the message is interpreted is based on vocal tone and the facial and body language exerted. With text messaging, we’re misinterpreting, over analyzing, stressing about response times, and worrying about how to respond perfectly. A decade ago (my freshman year of college), all of this was practically non-existent. I believe millennials aren’t experienced or comfortable enough with intimate conversation and communication the way previous generations have been. We’ve had the option to hide behind screens and not expose ourselves. Being vulnerable is scary and technology has given us the choice to conceal and bury our feelings as much as we’d like. Heck, we can even pretend other people’s emotions don’t exist. Do we really this to be acceptable in our world? If you don’t, join me in the #EmotionalRevolution. Watch my friend Blaise Beyhan of the band Miss You further discuss how disappointing some of our modern communication norms are below. Thank you so much for this response, Megan. This means a lot! I’m right there with you!